And All The DJ's Who Support Dance Music. sleeve with a large sticker on front and a plain square antistatic inner-sleeve. BPM are not provided on the record (A : 124 BPM / B : 123 BPM). The 3rd variant is 150 grams in weight. First ‘B’ and ‘A’ etched on both sides run-outs 3rd variant are scratched out. etched on the deadwax, are from the engineer Don Grossinger’s hand. A promo copy of the release exists. I am pretty sure I have heard a couple of DJs - Chez D, Honey D, among them - slay down a sax edit of The Bounce Does anybody know what track I am referring to? I've searched for it far and long and can't find it. Gimme the groove has a great intro break that sounds like a sound check but fuk me come on guys you are making this out to be some sort of life changing tune. It a mess of a track with some good sounds. This is so so over hyped no ones dancing to this , come I run this genre is there a hidden message I'm missing? the name "the bounce" could not fit better - the best as house can get. groovy as hell, not movin' & shakin' to this is almost a crime. 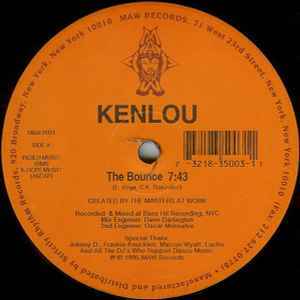 "The Bounce" contains samples of "Sparque - Take Some Time" (1984). In addition to the other review MAW's, I'm assuming original idea for Bounce which I feel really captures they're experimental side was their Dub from Incognito's Everyday 12" on Talking Loud. This is Masters At Work at their absolute peak of being creative and playful! "The Bounce" unveils layers of layers of extremely clever drumprogramming with a unmatched perfection of the finest details and arrangement. On top of it all an instrument or somehow modulated vocal adds the last spice to set the underground party on fire! A luminous example of how to create wild dancefloor appeal, experiment at the same time and making it all work. One of the big club records of 1995 which again, like many other great releases from this era, could be played in both a House or Techno context. "Gimme Groove" is a bittersweet lullaby'ish disco groove which is a fitting contrast to "The Bounce". Again MAW delievers something special and of it's own nature. Even though it comes across as slightly more traditional, it catches you straight away and drags you into that special atmosphere that you never want to end.